Pumpkin recipes are all over the internet lately. This means that Pumpkin season is here? But, I always feel that pumpkin never leaves our consciousness. As far as I am concerned, its ALWAYS pumpkin season! This week, its all about pumpkins! I have 3 recipes planned for pumpkin week that you will absolutely love! 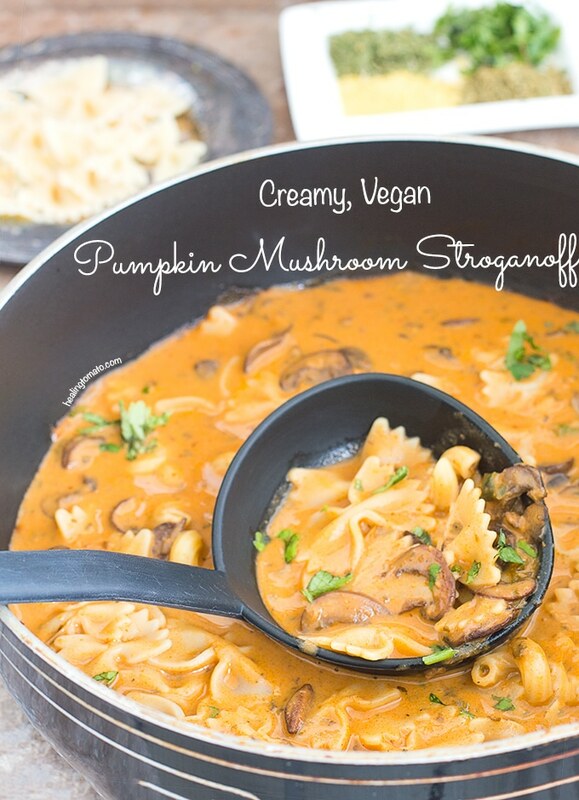 First up, its this pumpkin mushroom stroganoff made with coconut milk and tomato sauce. Its much more fun to add pumpkin into a pasta recipe than I thought. I have always used it in soups like this pumpkin soup or into a pumpkin dip. Next, I will bring you a pumpkin smoothie which is just magnificent! Also, I plan to ramble on about not making it to all the books my summer reading list. It should be a fun read, so, be sure to come back for it. The last recipe in pumpkin week is actually about my favorite way to store pumpkin puree and use it all year round. I think you will appreciate how easy it is to make. 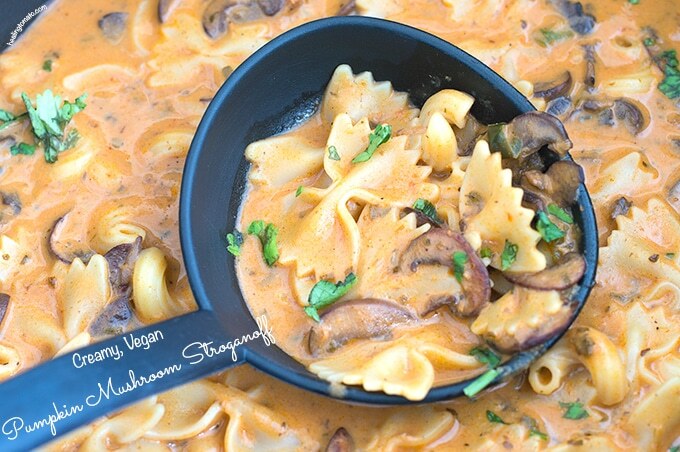 But, for now, let’s talk about this creamy mushroom stroganoff. 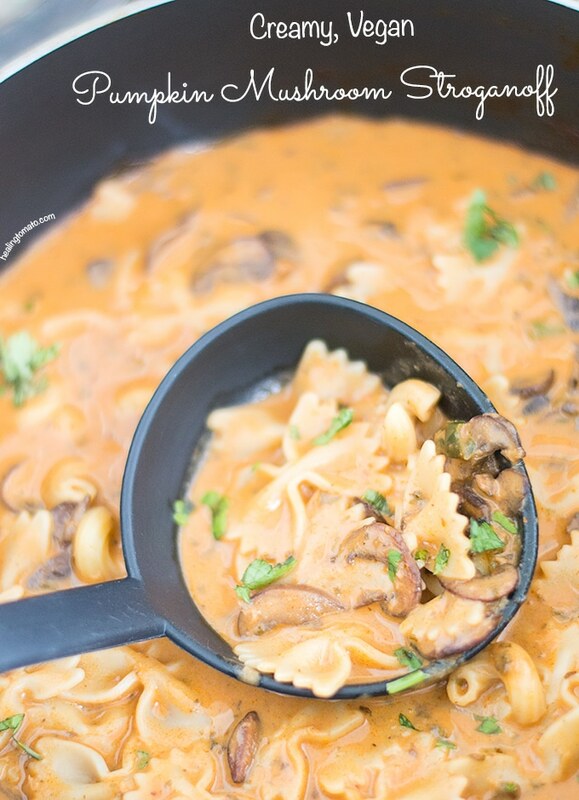 Have you noticed that I have made so many mushroom recipes on this blog? Subconsciously, I have been craving them lately and no idea why. If anyone knows why I am so obsessed with mushrooms, please enlighten me. 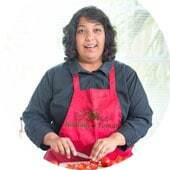 During the week, when things get so busy or you are late getting home because of bumper-to-bumper traffic, I think you will appreciate quick and easy dinners. I added pumpkin puree because its faster. 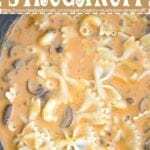 However, if you do have the time, I think making your own pumpkin puree from scratch would make this creamy mushroom straganoff taste even better. To make pumpkin puree, preheat oven to 350°. Wash and cut a pumpkin into half. Remove all the seeds and strings. Very lightly oil the inside of the pumpkin and then cover with foil. If you have left over pumpkin puree, check out how I like to preserve the leftover pumpkin puree. For the pasta, I have to tell you something funny. 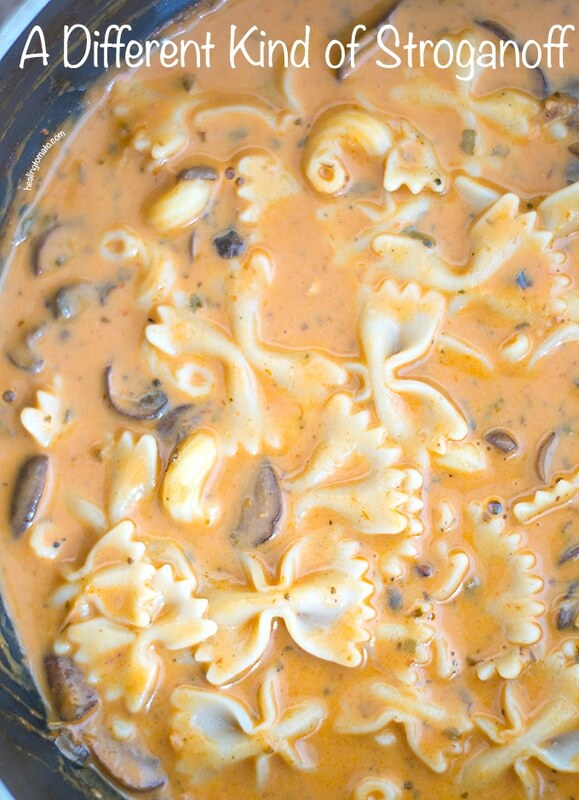 When I was deciding on making this recipe, I intended to use only farfalle pasta. However, when I went to make it, I realized that I didn’t have enough of it. So, I decided to add (affiliate link) ridged elbow pasta left over from my easy weeknight pasta recipe and turns out, I didn’t have enough of that either. After I chuckled a little, a lightbulb went off in my head. Why not use both in this recipe? It can’t be that bad, right? And, I am am delighted to tell you that it was so delicious. I think the farfalle appealed to the adult me and the elbow pasta appealed to the kid in me. You can use any pasta you want for this recipe. Its common to use it on top of linguini or spaghetti. 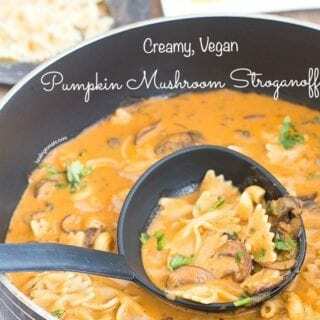 If you like this recipe, check out my other vegan recipes. I aim to make vegan recipes that appeal to everyone. I love mushrooms and pistachios so you got me with this one. I’m thinking maybe a spinach lasagne for this sauce? Hmm, the possibilities are endless. Thank you so much, Karen. You have made my day. Spinach lasagne sounds really good. You have my mouth watering at the thought. Let me know how it turns out. 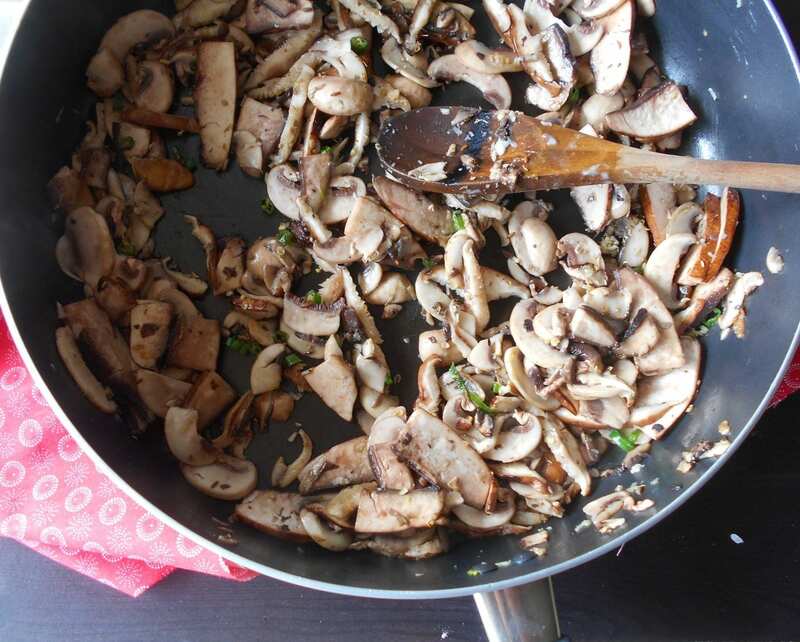 I am thinking I could use your creamy mushroom sauce as a gravy for Sunday roast. Thanks for a lovely looking sauce recipe that I am sure I could use in lots of recipes as a nice topper. Thank you. I am glad you like it. If you have other dishes that you use it on, let me know. I am always fascinated to see how my recipes are modified. I love this recipe. I make homemade raviolis and this would be a delicious sauce. Thanks for sharing. I’m pinning and sharing. I had no idea that pistachios are aphrodisiacs. I better stock up on those 😀 I love mushrooms and use them a lot. This sauce looks delicious and creamy. Thanks and Pinning!